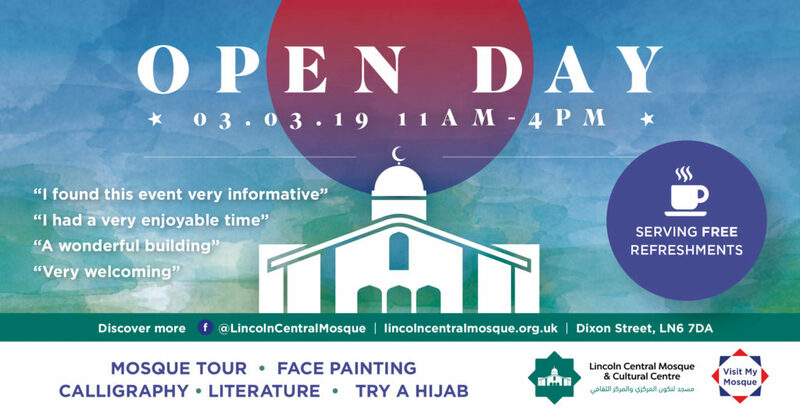 The Lincoln Central Mosque and Cultural Centre is proud to host ‘Visit My Mosque’ on Sunday 3rd March 2019 . Fore more details, please go to the event page here. We have hosted several schools, scout groups and organisations in our new mosque, giving them mosque tours and talking to them about Islam. We have also visited several schools to talk to students about Islam. 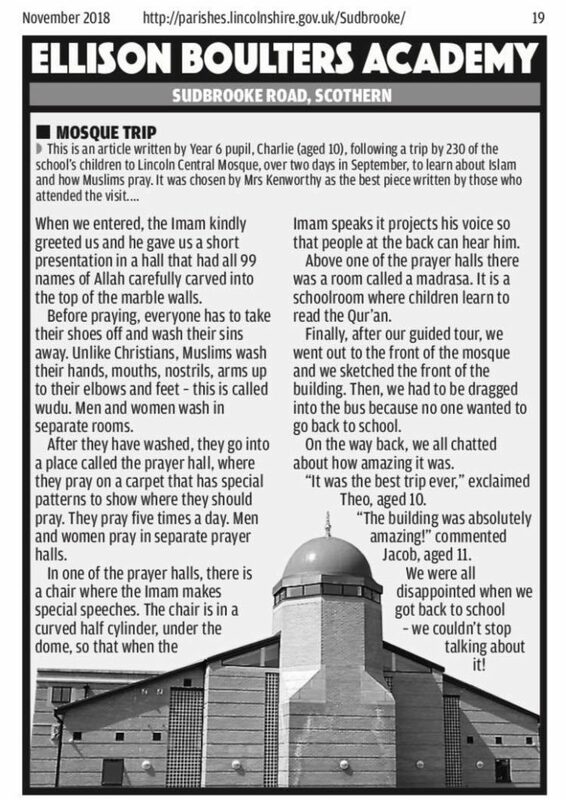 If you would like to organise a mosque/school visit, please go to the Mosque/School visit page. The picture shown below is from the Sudbrooke Monthly Magazine sharing the experience of students from Ellison Boulters Academy. To keep up to date with events and other community news, like our page on Facebook. You can also sign up to our mailing list using the form on the right sidebar of this page.